I’ve written quite a bit about “the Popcorn Popper Process” – whereby you use free services with limited functionality to keep engaged with potential customers / clients … until the “pop” into paying clients. 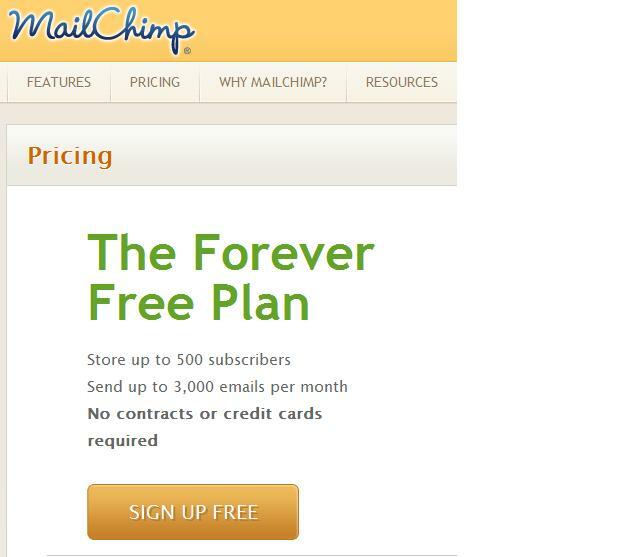 I came across an email program – www.mailchimp.com – which does this very well. They offer a free account – no credit card required – allowing you to store up to 500 subscribers and send out up to 3,000 emails per month … FOR FREE. I’ve long believed that email programs are far overpriced. The cost to send email is negligible compared to the prices that most email programs charge. MailChimp seems to be leveraging this; knowing that once I get my subscribers uploaded into their system (and better yet, the autoresponders set), I won’t very likely cancel their service. More likely than not I’ll upgrade to a paid service when my account exceeds 500 subscribers. Smart executives keep learning, always expanding their knowledge and understanding of business best practices. But just applying these best practices to your business without considering the implications on your business model can have dramatic negative effects. Let’s say, for example, that you read Good To Great – which advocates heated debates when developing business strategy. Now a small business owner might think of this as a great method for uncovering the best that their company has to offer. But this method also creates tremendous turmoil within an organization. Turmoil that can disrupt the normal day to day operations of the rank and file. In smaller organizations, this discourse only works if it is kept within finite parameters. Ideally discussions are held off site, and then after serious debate a single vision is brought to the company as a whole. Specific roles and tasks in line with that single vision are assigned to key individuals.